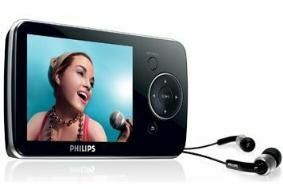 Philips teams up with Napster | What Hi-Fi? Consumers in the UK and Germany will, from this month, be able to access Napster's online library of more than seven million tracks using their GoGear portable devices. In addition, users of Philips's Opus, Ariaz and Vibe GoGear players will be offered a free 30-day subscription for Napster To Go. Using Napster, Philips GoGear owners will also be able to listen to more than 90 ad-free radio stations and hundreds of playlists. Additional benefits of the latest version of Napster (4.6) include Automix, an automated music recommendation service that creates custom-generated playlists, and the Mood Manager tool, which allows users to create music choices to suit any mood. Patric Niederlander, European business development director at Napster, says: "By partnering with Napster, these GoGear users now have direct access to a huge library of tracks and other digital content as soon as they start using their player." A subscription to Napster To Go, the portable music service, costs £14.95 a month.